Al-Quds Bard College for Arts and Science hosted the tenth annual Palestine Festival of Literature (PalFest) on Monday, 15 May 2017. 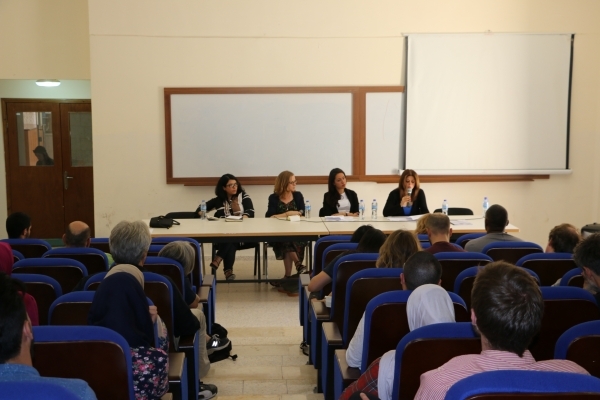 The focal point of the event was a poetry panel entitled “The Future of Borders”, in which four literary artists highlighted the freedom of movement as a basic humanitarian right yet fulfilled for Palestinians. Palestinian poet Jehan Bseiso provided a strong opening to the festival by reading excerpts of poems mirroring the restrictions Palestinians face, especially at the Israeli checkpoints. Exiled Mexican poet Dolores Dorantes who currently works in the United States drew parallels between the restriction of movement Mexicans face in America and those imposed on Palestinians since the 1948. Award-winning, Palestinian-American poet, writer, and playwright Nathalie Handal also spoke on the creative restrictions that come with a life in exile. Based on her conversation with Mahmoud Darwish she articulated the themes of identity and hope. Handal said hope is the main instrument that the Palestinian should use to preserve her identity and homeland. Suzanne Joinson, an award-winning British writer of fiction and nonfiction, read parts of her novel reflecting the connection of history and memory between Palestine and the United Kingdom. She argued that prose and poetry are tools that break the borders between Palestine and the UK. 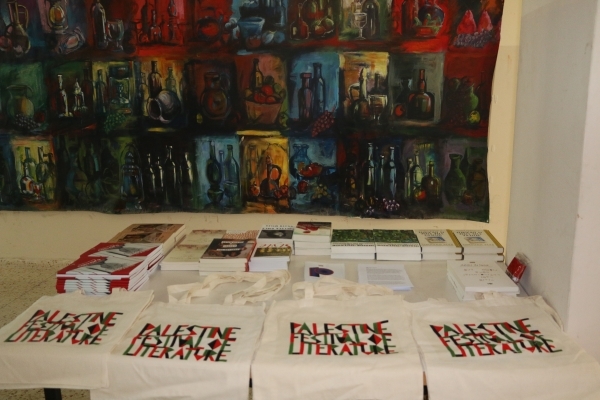 Established in 2008, The Palestine Festival of Literature (PalFest) aims to support cultural life in Palestine. It also tries to break the Israeli blockade of freedom of movement.Since its launch more than ten years ago, PalFest has hosted 200 authors as they explore all parts of Palestine including Ramallah, Jaffa, Jerusalem and Nablus, holding literary weeks in each community as a way to break the psychological borders between Palestinian cities. The festival gave opportunities to three students of Al-Quds Bard College to read their poems. Bana, a fourth year Human Rights and International Law major from Bethlehem, showed in her poem how Palestinians thirst for freedom: “Just as the plant needs the sun not for its warmth, but for its survival, we need freedom”. Baha Badir, a first year Human Rights and International Law student from Bethlehem, reflected on the hard life of Palestinians living in local camps. His poet challenged misconceptions of the physical and human reality of the camps. While the material conditions are basic at best, Baha portrayed a rewarding life full of perseverance against difficulties and resistance to the occupation. 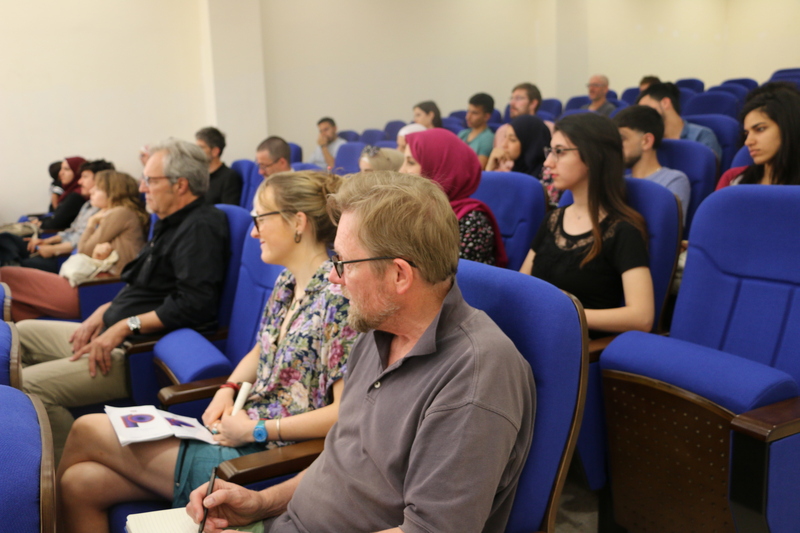 Along with the literary pieces, the festival conducted four workshops: Poetry and Dissent with Jehan Bseiso, Other Histories, Counter-Histories with Rachel Holmes, Revolutionary Journalism with Sharif Abdel Kouddous, and Writing the Arabic World with Haifa Zangana. 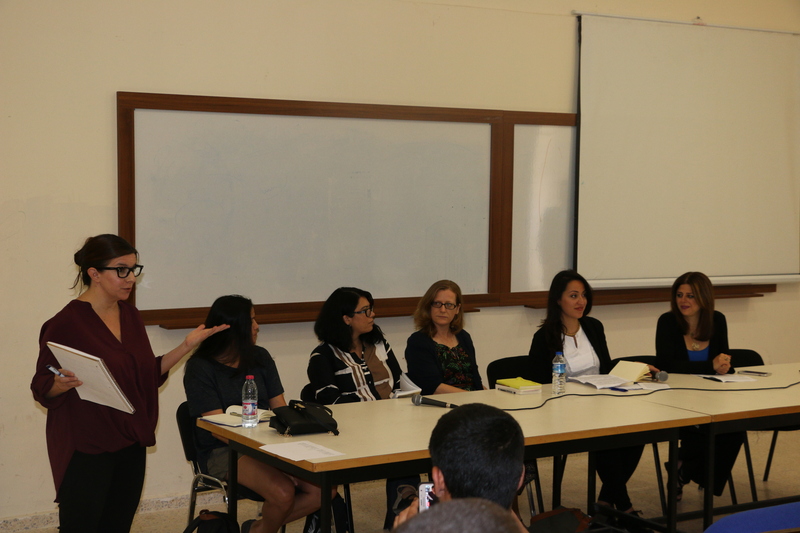 The workshops provided a free space for students to listen to creative literary works, discuss ideas, and voice their thoughts on life under the Israeli occupation and the future of Palestine’s borders.